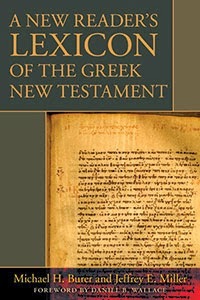 Kregel Publications sent out a mass email earlier that notified recipients of A New Reader's Lexicon of the Greek New Testament. I was intrigued by this because Sakae Kubo's Reader's Greek-English Lexicon was/is one of my favorite Greek tools. I was particularly fond of it in seminary. It looked like the new version was an update. Then I saw my colleague Steve Walton post on its virtues here. Finally, I got my hands on my own copy and I'm happy to recommend it to any readers of the Jesus Blog who are able to read the Greek New Testament. How I've managed to miss this resource since its publication in 2008 is a mystery, and I'm embarrassed, but I'm glad to be late to the party rather than not arrive at all. What's great about it, and different from Kubo, is that it uses the updated (3d ed.) BDAG definitions throughout and, even better, includes computer-generated statistics next to the words that indicates quickly (1) how many times a word appears in the NT book you're reading at the time, (2) how many times it appears in all works traditionally attributed to that author, and (3) how many times it appears in the NT. The stats take NA27/UBS 4 as their baseline Greek text. UPDATE: Alban Books, the UK distributor of this volume, is offering a discount to readers of the Jesus Blog. If you put in code ABJB0314 at checkout, you can receive a 25% discount and free postage until March 31! Just click here. It is my great pleasure to interview Adele Reinhartz. I will be publishing this interview in two parts. Adele Reinhartz is a Professor in the Department of Classics and Religious Studies at the University of Ottawa. She is the author of several articles and books. She was elected to the Royal Society of Canada in 2005 and presently serves as the General Editor for the Journal of Biblical Literature. I have admired her work for a long time. I will also say this: she is among the kindest and most generous people I've ever met. She has earned whatever ego might come with her success, but I have never seen it on display. Would that all scholars could follow her model. ALD: Adele, thank you for your time. Would you start by telling us a bit about your most recent book, Bible and Cinema: An Introduction; how would you say it compares to previous books on this topic? 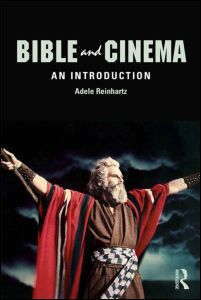 AR: This most recent book is the first comprehensive study (that I’m aware of) of the use of the Bible in film. The first half focuses on Bible movies (understood broadly as including also “sword-and-sandal” films), with primary focus on the epic genre, and the second half concentrates on the use of the Bible in fictional feature films of a broad range of genres including apocalyptic movies. The book deals primarily with Hollywood films, because it explores the ways in which Hollywood (a shorthand term for American films whether made in Hollywood or not) uses the Bible to explore and express aspects of American identity and a range of issues in American society (e.g., race, ethnicity, gender, sexuality). But some “foreign” films are discussed as well. ALD: Given your expertise, do you feel excited when you hear about new films about the Bible? For example, are you looking forward to seeing films like Darren Aronofsky, "Noah" or Alister Grierson's "Mary”? AR: I wouldn’t say I’m excited about seeing them, but I do plan to do so. I suppose I approach such new films (including also the Jesus movie remake of the Bible television series) with a bit of trepidation. This is not so much out of a concern that these movies will do a disservice to the stories themselves (though they always do — much as I adore the cinema, I have yet to see a film that truly captures the richness of the biblical narrative) but that they will do some damage. This is true particularly of Jesus movies, which inevitably have to decide how they will portray the Jews, especially in the Passion narrative. ALD: When you finished your PhD at McMaster in 1983, it wasn't common for a Jewish student to enter the field as a New Testament specialist. Can you share a bit about this experience? Also what drew you to the Gospel of John? AR: I entered the doctoral program at McMaster after completing a BA in Jewish studies (University of Toronto) and an MA in early Judaism (McMaster) and it was my full intention to continue to a PhD in early Judaism. But at McMaster it was, and still is, a requirement of all who major in early Judaism to also study early Christianity, and vice versa. In my MA program I took a full-year course on Galatians with E.P. Sanders, just at the point where he was reading the proofs for Paul and Palestinian Judaism. He was a very dynamic teacher who brought Paul to life for me, and I became intrigued by the idea of studying NT more intensively. It seemed to me that a) as someone with a strong background in early Judaism, I might have something to offer from a scholarly point of view, and b) as a Jewish teacher of the NT, I might be able to broaden the perspective of my students with regard to the complex relationships among Jews, Christ-believers, and “pagans” in the first and early second centuries. Although not all of my work addresses issues of anti-Judaism/anti-Semitism, I, like most other Jewish NT scholars, do see my work as an opportunity to raise the issues and contribute to better mutual understanding. I can say that Sanders did not particularly encourage this change of direction though he respected my decision. His concern was that I would have trouble finding a teaching position. With a doctorate in NT, he feared, I would not secure a position in Jewish studies, and as a Jew I would be at a disadvantage when competing for NT positions, the majority of which, he noted, were primarily in divinity schools or seminaries. I have been fortunate, however, in that a few short years later, my ability to teach Jewish studies and NT were precisely what led to my being hired first at the University of Toronto (non-tenure-track) and then at McMaster. I believe that Sanders’ own commitment to the importance of studying early Judaism and Christianity alongside each other (not Judaism as mere background to Christianity) contributed to a change of culture in which Jewish NT scholars and scholarship are welcomed. I was not initially thinking about John, as I mostly studied Paul with Sanders. But I had done a reading course with Ben Meyer on John’s Prologue, and when casting around for a thesis topic I thought it best not to work on Paul so that I could cast out in my own direction. At that time John intrigued me more than the others for the same reasons that it still does now: its combination of the sublime and the hateful. I find the use of language and symbolism sublime, and the role in which the Jews are cast, to be hateful, and dangerous. Another important factor, however, was the second edition of Lou Martyn’s History and Theology in the Fourth Gospel. I was captivated by this book, and the vivid picture it drew of a Johannine community, even though, subsequently, I found myself critiquing the expulsion theory and the methodology on which it is based. In a real way, Martyn’s book has set the agenda for much of my own work on John, including my current book project (for which see below). In part two (coming soon) I ask Adele a bit more about her time studying with E.P. Sanders. Recent studies of masculinity in the Ancient Near East make a distinction between hegemonic and subordinate masculinities. The Roman practice of Paterfamilias (wherein the eldest male provides for, upholds, and controls the clan) stands in the trajectory of hegemonic masculinity. In multiple New Testament Christologies, Jesus embodies a decidedly hegemonic role as the early Church imagines itself as a spiritual family. Yet the Gospels also betray a clear and repeated endorsement of various subordinate masculinities in the teachings of Jesus. This paper will explore the complex relationship between family, honor, fiscal provision, and masculinity as Jesus evolves into the “ideal male” in Christian thought. I am really looking forward to what promises to be a wonderful line up of papers. I'm just happy to be in such good company. To learn more about the conference, you can read about it here. The true random generator has spoken on the giveaway of my The Pericope Adulterae, the Gospel of John, and the Literacy of Jesus. It is an honest question. I tend to just think of Marcion vaguely as a second-century fellow. But this weekend I was thinking a bit about the emergence of non-Jewish Christianity and I wanted a firmer date. Now, I know well that we have to settle for approximations, but rarely does our fuzzy dating range more than a few years in discrepancy (or so I have come to expect). "Scholarly grands projets to topple crumbling critical edifices are bracing and fun, even if they do not always match the undeniable joy of demolition with a comparable confidence in what takes their place. 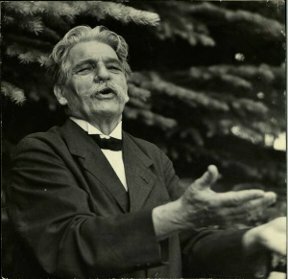 Professor Watson's remarkable attack on a historic stronghold of gospel criticism scores a number of powerful blows that demand extensive further engagement. Yet even if the spectacle of his wrecking ball were in the end to prove more impressive than the shape of his reconstruction, this reviewer finds himself profoundly instructed and expects to assign Gospel Writing to his students for a long time to come." "This new research procceeded more or less separately in several interrelated areas--including studies of orality and literacy, textual criticism, and social memory--while the new narrative criticism of the Gospels took its inspiration from modern literary criticism and its assumptions about modern prose fiction. It is now becoming evident, however, that the implications of these various explorations reinforce one another in challenging what had become standard assumptions and procedures in interpretation of the Gospels and investigation of the historical Jesus" (57). Jesus must have communicated and interacted with other people who resonated with his speech and action in the contexts of their own lives. Like fragments of pottery in museum cases, the isolated individual sayings of Jesus may be precious artifacts to the scholars who sort them out and categorize them, but since they cannot have been units of meaningful communication between Jesus and other people, they are not by themselves historical sources for Jesus. And these tiny fragments cannot, by themselves, convey 'meaning' in a sense that would assist in interpretation of the larger Gospels in which they appear" (59 - 60, emphasis original). So far I'm really enjoying this book. I am, however, a Thatcherite! Thanks to Jonathan Lo for alerting me to his review of my and Anthony's co-edited Jesus, Criteria, and the Demise of Authenticity in the Chinese journal, Hill Road 16.2 (2013): 160-65. This is the periodical of the Hong Kong Baptist Theological Seminary. I can't read the Chinese, of course, but Jonathan was kind enough to send me an English translation. I'm pleased to see that it was very positive. 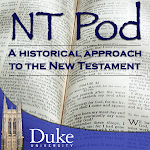 This blog will be primarily devoted to matters pertaining to the translation of German New Testament scholarship. I hope that students, scholars, and fellow translators will find it useful for their own efforts to read and translate German texts. Wayne's blog functions almost as a worktable for German-to-English translation and we all get to watch him work. He hopes to write a new post every Monday. This week featured comparisons of an important passage from one of Jens Schröter’s essays. Wayne compares his translation to my earlier attempts at the same passage. Yesterday I posted a bit about my vast collection of honest business cards. I see no reason to inflate my success. I've done okay; not great. My grammar is decent for the grandson of a coal miner. My kids are pretty well behaved. My online scrabble rating is above 1000. I floss. I eat kale from time to time. I can be honest with myself: not bad, not great either. So why not just say so on my business card? It's Valentine's Day! Let's Get "Biblical"
Roxanne: What is your definition of biblical courtship? Rowina: Different people define biblical courtship in different ways. There is no agreed definition but here is my attempt at one: biblical courtship is the period of time in which a man who is romantically interested in a woman pursues her in an intentional way with the hope of marrying her. The man and woman attempt to not stir up each other's love prematurely and thus do not act like a couple or as if they belong to each other. The man treats the woman as a sister in all purity. Their aim is to reach a wise decision, with the help of their families and Christian community, on whether they should marry or not while behaving in a way that honours God. The hope is that whether things work out or not, each person is left undamaged. Now, I am all for sisters. I have four sisters. I am also for other people's sisters. I'm positively for all sisters everywhere! I am also supportive of leaving people with whom you "pursue" undamaged. In fact let's try to avoid damaging people wherever we can, shall we? Allow me also to affirm Rowina's statement that there "is no agreed definition" of biblical courtship. On this last point, I would like to suggest a reason why there is no agreed definition of "biblical courtship." The reason is that there is no such thing as biblical courtship. As I discuss at length elsewhere, the concept of "courtship" was not invented when the books of the Bible were being composed and compiled. However we define the "biblical period," courtship just isn't a thing yet. Courtship is an idea that evolved from "courtly love" trends in medieval Europe (Spain, Italy, and France, most notably). 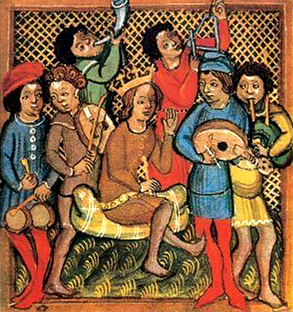 It seems that the poet-singer-lover trend of the "troubadours" borrowed a Persian form of love poetry during this period. This is exactly when the term romanz ("verse narrative”) emerged. So when Rowina talks of a "period of time in which a man who is romantically interested in a woman pursues her in an intentional way with the hope of marrying her," she is describing a medieval European ideal. In short, there isn't anything "biblical" about what Rowina describes above. This leads us to a much more important question regarding the word "biblical": what exactly are we talking about when we say that something is a "biblical" ideal? Does this mean that we think that the ideal is communicated in the Bible? In my experience, this is not what Christians generally mean when they baptize a ideal as "biblical." The above quotation is a perfect example. Neither the concept of "romance," nor the concept of "courtship" can be construed as biblical in any sense. To do so would be anachronistic. No. What Christians generally mean when they say that an ideal is "biblical" (in my experience) is that the ideal in question is a traditional ideal that does not seem to directly contradict the teachings of the New Testament. You may be interested to know that the ethical world that produced the Bible did indeed have traditional ideals about marriage and family. These traditions included clan-based endogamy, property exchange, polygamy, Levirate marriage, and marriage as spiritual metaphor (just to name a few). As far as the period before marriage - the period we might most associate with courtship - those "biblical" folks would have thought in terms of arranged marriage. We Christians need a better way to read and talk about the Bible. Until we do, we ought to stop talking about our "biblical" ideals. 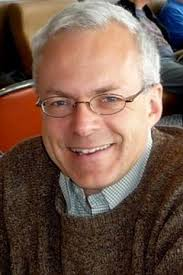 Anthony Le Donne (PhD, Durham) is the author of The Wife of Jesus: Ancient Texts and Modern Scandals. Wayne Coppins has offered some very helpful analysis of the quotation of Jens Schroeter with which this blog post ends. See "Jens Schroeter on the character of every historical (re)presentation." I know we've talked a lot about Jens Schroeter on the blog, but I can't help discussing a little more the significance of his From Jesus to the New Testament. A little bit ago I was working through the Wayne Coppins English translation of the chapter, "On the Historicity of the Gospels" (chapter 6), of course catching little things that I missed in the German since it's not (obviously) my native tongue. At the end of working back through this, I was convinced all the more that history will remember Schroeter for ushering in a new stage of historical Jesus work. Some of this chapter appears in English in his contribution to Jesus Research: An International Perspective, but the full version is here and much more significant than the shortened version. Schroeter presents an argument against two objections to the usage of the Gospels as historical sources, which he terms (1) the argument of material discrepancy and (2) the argument of literary fiction. The first asserts that the narrative categories that fill the Gospels emerged only in later Christianity, have no connections to Jesus, and are therefore useless for discussing the life of Jesus. It goes back at least to Strauss but comes into full bloom especially with Bultmann's form criticism. The second argues that, since the Gospels are clearly literary creations, we can assess them only in literary (not historical) terms. This goes back to Wrede but now finds full expression in narrative-critical works that refuse even to entertain the historical question(s). As Schroeter indicates, especially the first argument led to a privileging of (1) sayings sources and (2) detached units of tradition in historical Jesus research, resulting in the narrative frameworks of the Gospels always being treated with suspicion historically and thus ruled out of historical Jesus questioning. Calling upon Ricoeur and others, Schroeter effectively blows up this entire discussion, bringing to an end not just (in my mind) the so-called Third Quest that was so dependent upon criteria of authenticity that they inherited from the so-called No Quest and New Quest, but all form-critically inspired stages of Jesus research that proceed only upon individual units of tradition detached from the narratives of the Gospels. 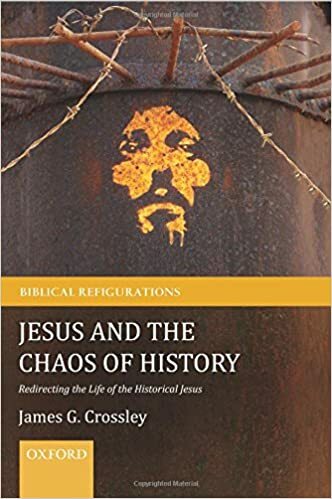 Schroeter insists, rightly in my opinion, that sayings and isolated traditions alone can never be a starting point for historical Jesus research because the narrativizing of the past is distinctly where the linking of present and past occurs. In other words, only narratives truly allow one to ask historical questions. "If, however, every historical presentation presents a combination of event and narrative, including the kind that is composed under the conditions of the historical-critical consciousness, then a present-day Jesus presentation also cannot simply disregard the narrative representations of the person of Jesus in the Gospels. Instead, it has to orient itself to them and put them together anew under today's conditions of knowledge. The result is not the 'real' Jesus behind the Gospels. The result is a historical presentation that claims to be plausible under current conditions of knowledge." Two RBL reviews of my co-edited volume, Soundings in the Religion of Jesus (Fortress, 2012). Goodacre asks: Where to Begin? Where do we begin Historical Jesus research? I often get asked about seminary / theological education. Where to go? What to study? Are theologians made of green cheese? etc. I have often pointed such inquiring minds to Mark's podcasts. I say, "Look here, my friend, why don't you listen to a few of these free samplings? See if you like them. If you can stomach Dr. Goodacre's absurd Australian accent (really, he sounds quite British to me; it's all very suspicious) and you find yourself fascinated by his big face, perhaps you might be well-suited for theological education." Early Returns from Harvard MOOC on Paul's Letters? began just last week, and currently boasts a registration statistic of 22,000 students from 180 countries, according to information from edX. So far, 14,343 students have accessed the course software, spending a cumulative total of 2,822 hours in the course (approximately 201 days) where it's possible to annotate text using the Poetry Genius website, view video lectures, and complete exercises. 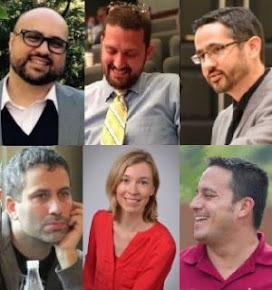 The course is taught by Laura and four PhD candidates and looks to be "largest and most concentrated scholarly discussion of Biblical studies in history." This is nothing short of impressive. I would like to hear from anyone taking this course. What has your experience been like so far? How does this format compare to other online classes you've taken? Is the course on pace to meet its expressed learning outcomes? ...when you look at the Genesis narratives, you'll see that camels are usually mentioned in the context of the patriarchs accumulating wealth, or as gifts from the Pharaoh. They are not beasts of burden so much as prizes, or things that princesses (like Sarah) ride. 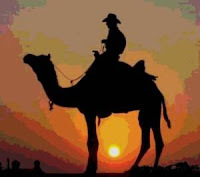 There is also some textual evidence that some areas do in fact have camels, though not Israel, and some scholars think they were the prized items that only the wealthy owned. I think I got this all from the ABD. This letter to the editor basically says the same thing, by Millard, an ANE prof in England. As I mentioned before, I have no desire to defend an early or "traditional" dating program for the patriarchal narratives. I'm also not in favor of creating controversy where there is none. It seems that "oldgit13" is having a go at us Bible folk. He is "struggling to think of a more pointless qualification and occupation." Notice also that seven folks like this comment while only one doesn't. So there you have it! Seven out of eight people agree: biblical scholarship is pointless. On the bright side, we're universally appreciated by religious folk, esteemed highly by our university colleagues, and make obscene amounts of money. I published my review of Papa Bear's Killing Jesus for LARB in November. I figured I'd let a few months pass before I republished it here. HOW DO WE EXPLAIN Jesus’s death? The answer according to Bill O’Reilly is simple: big-government Jews and Roman taxes. O’Reilly and Martin Dugard title their book Killing Jesus: A History. But there are more references to taxation in this book than there are to crucifixion. Indeed, the authors seem so preoccupied with taxes that the symbolic importance of the cross — a form of execution reserved for political sedition — is neglected. According to O’Reilly, Jesus’s story is a “lethal struggle between good and evil.” From this simplistic perspective — the whole book more a Tea Party fantasy than a “fact-based” history — the “evil” powers are represented by puppet politicians in Judea who enable the Roman tax chokehold on working people. The title of this post is a question that Anthony and I, along with lots and lots and lots of other people, get asked occasionally. I'd be interested in how others answer it, but my answer is pretty firm. In general, you shouldn't be aiming for publication until after you've finished writing your PhD dissertation. The PhD is the single most important piece of writing for 99.9% of young scholars, and all efforts should be put into it. There will be the occasional exception where someone is able to publish something prior, but those should remain exceptions. I understand all too well the desire to have some publications on your CV straight out of the gate in order to compete in a historically insane job market. But, to the best of one's abilities, he or she should resist that pressure and try to focus on the PhD. Has anyone else given or received helpful advice on this topic? UPDATE: In light of some discussion on Facebook, I probably need to clarify my point. It's not that publishing before the PhD is necessarily bad; it's that trying to publish at the expense of the PhD is. If someone can publish articles en route, and it doesn't result in them neglecting their doctoral work, that's great and will only help them on the job market. But those publications should spring from work related to the doctorate. I think that neglecting one's doctoral work in order to pursue writing unrelated journal articles, etc., is a bad idea. There's no doubt some regionalism at work here as well, as I did my PhD, and now currently teach, in the British system. In the US system, seminar papers can often easily lead to publishable articles prior even to commencing doctoral work. Yesterday a friend sent me a link to this scandalous story. Recent archaeological research suggests that camels were first introduced to Israel in the year 900. This, of course, postdates the lives of many Israelite patriarchs and suggests that many such stories were composed in a postexilic period (I know, shocking!). But are we talking about 900 BCE or 900 CE? If you get your news from the Weather Channel link (above), you'll be off by about 1800 years. While the reporter tells us that camels were not used in Israel until 900 after Christ, the TAU study concludes, rather, that camels were first introduced to the region in 900 BCE. To be honest, I'm not too bothered by biblical anachronisms - just so long as the Bible is more reliable than the weatherman. 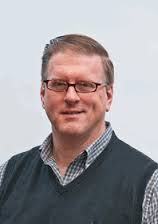 The always interesting Christopher Skinner reflects on the Synoptic Problem. According to Rabbi Haim of Volozhim, praying for relief from one's own misery is never the ultimate aim of a pious prayer--the prayer of the just. .... to the degree that the suffering of each person is already the great suffering of God who suffers for that person, for that suffering that, through "mine," is already his, already divine--the "I" who suffers may pray, and, given God's participation, may pray for himself or herself. One prays for oneself with the intention of suspending the suffering of God, who suffers in my suffering. The self need not to pray to mitigate its own suffering: God is already with me, before any asking. Is it not said (in Psalm 91:15): "I am with him in suffering?" And does not Isaiah 63:9 speak of God who suffers in the suffering of man? The suffering self prays to alleviate the "great suffering" of God who suffers, to relieve the "great suffering" of God who suffers both for man's sin and for the suffering necessary for his atonement. And in that suffering of God which is greater than his own, and toward which, in his prayer, he rises, man's own suffering is assuaged. Man no longer feels his own pain, compared to a torment surpassing his own, in God. Precisely therein lies the atonement: in that measure in which God's suffering exceeds my own my own. It is in God's suffering that the redemption of sin is realized--to the point of abridging suffering. A holy feat: bitterness sweetened by bitterness! Quoted from this book, Jesus and the Holocaust: Reflections on Suffering and Hope by Joel Marcus. HT Mark Almlie who lent me the book. 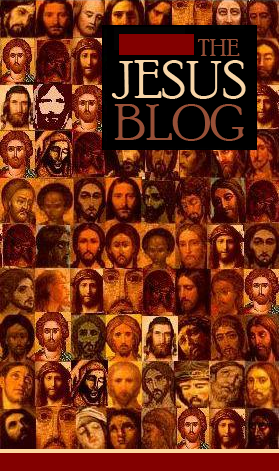 I am happy to welcome Baylor University Press to The Jesus Blog family! You may have already noticed that BUP is now sponsoring this here blog and advertising some of their finest products. Among their latest is a new edition of Wilhelm Bousset's classic history of Christian origins: Kyrios Christos. This edition features a new introduction by Larry Hurtado. If you know Hurtado's work, you'll remember that he has turned his critical eyes often to Kyrios Christos. Indeed, one of Hurtado's very first publications critiques Bousset's thesis on multiple levels: Larry W. Hurtado, “New Testament Christology: A Critique of Bousset’s Influence,” Theological Studies 40 (1979): 306-17. Moreover, Hurtado's herculean effort in producing Lord Jesus Christ: Devotion to Jesus in Earliest Christianity is in many ways an answer to the scholarly assumptions made standard by Bousset. To speak personally, since my first encounter with Kyrios Christos as a graduate student (shortly after this English translation was published), it has been the single most stimulating work on early Jesus-devotion that I have read, and my own work has been shaped in dialogue (and often disagreement) with it as with no other. In various publications spanning some twenty-five years, I have conducted my own research program on the origins and developments of earliest devotion to Jesus, and in all this work Kyrios Christos has been perhaps my principal model and Kyrios Christosmy principal ‘sparring partner.’ Even if it is now judged dated and incorrect in some crucial matters, it is still a stimulating, at times even thrilling, book to read. I am pleased to see this English translation back in print, which will make it more readily available to a new generation of readers. I am grateful that BUP and Prof. Hurtado have taken the time to bring this important book to our attention again. 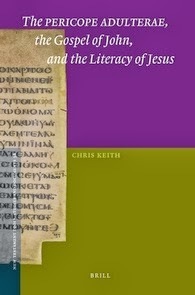 As I mentioned earlier, Brill has just issued a paperback version of my book, The Pericope Adulterae, the Gospel of John, and the Literacy of Jesus. In this study, a slightly revised version of my University of Edinburgh PhD thesis, I argue that the story of Jesus and the adulteress, typically printed in English Bibles at John 7.53-8.11, was inserted into John's Gospel in the second or (more likely) third century as a response to both pagan criticisms of Christian illiteracy and the narrative of John 7.15-52, where Jesus' literacy and Galilean's knowledge of the law are both explicitly questioned. I also forward the argument that the author uses the specific verbs he does in John 8.6, 8 (katagrapho and grapho, respectively) as an attempt to parallel Jesus with God as author of the Decalogue in LXX Exod 32.15. The study also contains, to my knowledge, the fullest refutation of the "suppression theory"; that is, the idea that the story of the adulteress was originally in the Gospel of John but was taken out and suppressed because of Jesus being too lenient on the adulteress. I simply can't see that there's any evidence for this view. At any rate, the good folks at Brill have agreed to give away a free copy of the book. So, if you're interested, you know the drill. You can enter by (1) leaving a comment under this post, (2) sharing this post on Facebook and leaving a comment saying you did, (3) signing up to follow the blog and leaving a comment saying you did, (4) sharing on Twitter and leaving a comment saying you did, and, for the wildcard entry, (5) leaving in the comments your favorite Chevy Chase quote from any movie he's been in. Mine? Easy, Fletch: "I'll have a steak sandwich . . .and a steak sandwich." The hmmlorientalia blog from Adam McCollum has a post up wherein he gives images and discussion of a 17th-century Syriac-Arabic lectionary that includes the Pericope Adulterae and a colophon in the margin saying that it does not appear in all the manuscripts known to the scribe but that he [the scribe] has translated it for readers. This is interesting because the passage does not occur in the earliest Syriac tradition (Old Syriac or Peshitta) at all to our knowledge. But, when it does occur in the Philoxeniana Syriac tradition (early sixth century CE) that Gwynn studied, it often includes little explanatory notes about the fact that some manuscripts have it, some don't, and who translated it from Greek into Syriac (Abbat Mar Paul). Around the same time, the Syriac Chronicle of Zacharias Rhetor (569 CE) has a similar statement (attributing translation to Bishop Moro/Mara, presumably the same as Abbat Mar Paul?? Anyone know?). For what it's worth, in the notes that specify the location of the passage in John's Gospel, John 7:53-8:11 is always the location, as they specify that the verse comes after John 7.52. The eastern languages tradition-history of the Pericope Adulterae is woefully understudied, despite Birdsall's efforts to publish some matieral on some 9th/10th-century Georgian manuscripts, which interestingly place the story after John 7:44. HT to Anthony Le Donne for sending me the link to McCollum's blog. Registration for the "Evil in Second Temple Judaism and Early Christianity" conference at St Mary's University is now open. You can do so here. Dr. Keith posted previously on this conference here. Yesterday I wrote a bit about the "myth of the Watchers". I would imagine that this mythology will be discussed at length. Would Mr. T please (with special care not to pity any fools) comment below with his email? (This will not be published.) The fine folks at Baker Academic will be happy to send you your copy! As a general rule, I don't get excited about films based on Bible stories. I'm interested in the Bible and I'm interested in film, but I've just never been able to get lost in films that adapt Bible stories in a straightforward sort of way. Perhaps I'm too close to the topic to turn off my critical apparatus. Yes, I'll readily admit it: I'm an insufferable snob when it comes to the Bible and film. Also, I still have nightmares about that hairy demon-baby from The Passion of the Christ. Relatedly, I've never been a Russell Crowe fan. It's one of those inexplicable prejudices. I can't tell you why, but I just say no to Crowe. I realize that A Beautiful Mind was good... but I was disappointed when I realized it wasn't really a spy flick. Don't get me excited for a spy flick and then hope that I'll be just as excited about math. It's math. So I don't like Bible flicks and I don't like Crowe. But I'll be the first in line to see Darren Aronofsky's Noah. Why, you ask? Three words. Words two and three: Nick Nolte. When people began to multiply on the face of the ground, and daughters were born to them, the sons of God saw that they were fair; and they took wives for themselves of all that they chose. Then the Lord said, “My spirit shall not abide in mortals forever, for they are flesh; their days shall be one hundred twenty years.” The Nephilim were on the earth in those days—and also afterward—when the sons of God went in to the daughters of humans, who bore children to them. These were the heroes that were of old, warriors of renown. The lore that developed around this passage shortly before Jesus was born is brilliantly creative. We see elements of watchers mythology in Enochic tradition (cf. Dead Sea Scrolls), Jubilees, 1 Corinthians, 1 Peter, the Targums, etc. 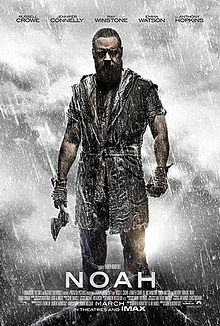 And now, the forthcoming film Noah. 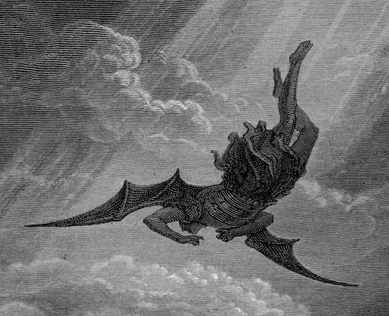 But even if you take Genesis 6 by itself, it is one of the most bizarre episodes in the Bible. Indeed the Nephalim (or "Fallen Ones"; in the Greek they're called "Giants") are without a doubt the strangest characters in the entire canon. So I think it is quite appropriate that one of the most bizarre creatures in Hollywood—Nick Nolte—is playing Samyaza, one of these half-human-half-divine hybrids. This film will either be really interesting or unintentionally funny. Either way, count me in. p.s. Anthony Hopkins is playing Methuselah. I am utterly disheartened that Keith Richards wasn't cast for this part. For those of you who (1) teach courses on Jesus, (2) would like to assign a classic, and (3) are worried that an author like Schweitzer might be too dense, I wonder whether an audio option might serve.